What is the concept behind the new CIMA™ by Stewart Filmscreen line? CIMA by Stewart Filmscreen offers standard configurations and sizes for projects that are less need specific, but still demand quality, durability, and performance. Designed and manufactured in the USA, CIMA offers the exceptional Stewart brand quality to a broader audience seeking 2-piece projection installations. What are some of the advantages of CIMA? What are the available materials, sizes, and framing options? The NEVE™ white screen material is ideally suited for applications where light control is available. The material, with a 1.1 gain and half gain viewing angle of 80+ degrees, provides most of the benefit of a lambertian diffuser, while minimizing the appearance of cross-reflection and other potential artifacts at the outer edges of the viewing cone. The TIBURON™ gray screen material is optimized for applications when light control is not available. 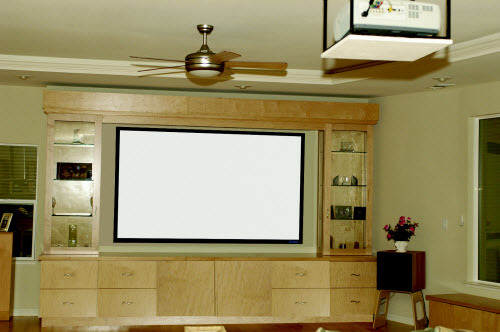 The screen, with a 0.95 gain and half gain viewing angle of 80+ degrees, preserves the light output when paired with lower output projectors while still providing deep black levels and excellent contrast. How does CIMA compare to the traditional Stewart Filmscreen line? Traditionally, Stewart filmscreens are custom engineered and fine tuned for specific applications and viewing environments. Conversely, the new CIMA by Stewart Filmscreen line has been engineered to provide versatility, covering a broad range of standard commercial and residential applications with variety of standard sizes and configurations available. When will CIMA be available? Several CIMA models are available now, with the full line available August 1st. Contact your Stewart representative for availability and pricing. Will the distribution model remain the same/how can I get my hands on one? CIMA by Stewart Filmscreen will be available through the same dealer base as our traditional Stewart Filmscreen line. Current Stewart dealers will be required to become certified in the CIMA product line prior to being able to offer it to their customers. Is there an acoustically transparent version in the product range? No, the MicroPerf option is only available in the traditional Stewart Filmscreen lines. Can the screen be motorized? Absolutely – both Neve and Tiburon are available in both fixed frame or retractable options. CIMA is not available with masking. For a range of options including variable masking systems, customers can still rely on the full Stewart Filmscreen line of products. Will the CIMA screens be good enough for 4K? Yes! All options within the CIMA line are 4k+ ready. The team here at Stewart Filmscreen receives the 4k question often, which prompted us to develop and implement the 4k+ logo on all product and content pages to help identify which screens are optimized for 4k. For years, Stewart has been providing screens which can handle resolution well in advance of 4k. The 4k+ logo is meant to indicate that we are ready no matter how advanced projector technology becomes. 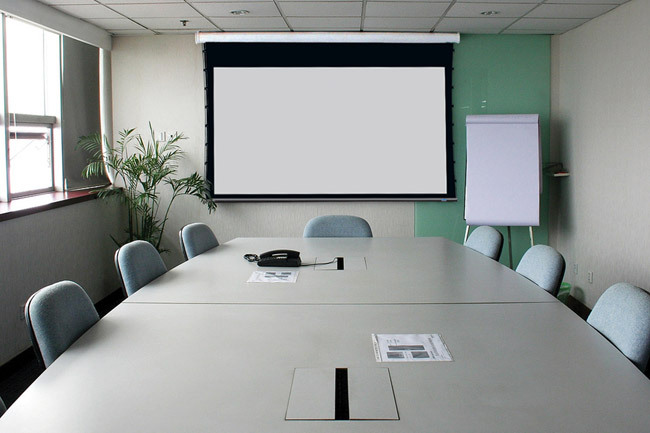 What are the most important factors to consider when choosing a projection screen? There are several important factors to consider including the environment, projector and lens, content, and functional desires of the screen installation. Selecting the best format for an application should begin with a review of the type of content to be shown. Spaces showing heavy amounts of video may trend towards 16:9, where computer graphics may be better suited for 16:10. Spaces showing largely text only, such as churches, may choose 4:3. Screen size is largely dictated by content and viewing distance. As a rule, for most installations, we try to maintain a ratio where the distance to the closest viewer is greater than 2x the image height and a ratio where the distance to the farthest viewer is no more then 6x the image height. However, if the content and projector will be showcasing higher resolutions, these rules change. To take full advantage of HD content, the farthest viewers should be positioned no more than 4x the image height. Do I need a special screen for 3D? Will the CIMA models work with 3D projectors? CIMA can handle Active 3D.